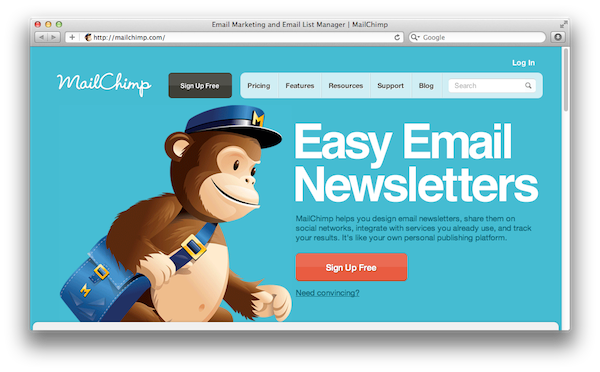 Mail Chimp is one of the email marketing services that you can Integrate to your author account. Go to the secondary white nav bar. 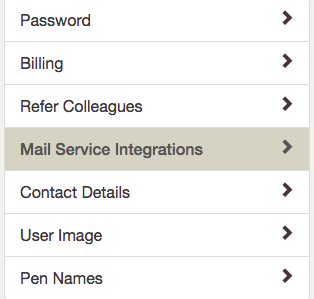 Select "Mail Service Integrations" from the top menu of the "Settings" page. Click on "Connect to MailChimp". A window will appear, explaining how Prolific Works connects to Mail Chimp. Click on "Connect". Enter your Username and Password and click on "Log In". You've now connected Prolific Works to Mail Chimp, to allow subscribers to be automatically added to your list. Once you have integrated your account with Prolific Works, login in to your Prolific Works account to select the list you want to have subscribers added to by default. Go to the secondary white nav bar towards the top of the page and select "Settings". On the settings page, click on "Mail Service Integrations". Click on "Select" next to the list you want to integrate with. A star and the word "Selected" will appear next to the list you choose. We’re excited about new changes making it easier to build your author brand and connect with the right readers. We know many have asked, now you can connect multiple Mail Chimp lists to individual giveaway campaigns! Integrate your accounts with the steps above if you haven't already. Upload a book and start creating a giveaway campaign. Check out the giveaway creation options. Now you can select a different list for each giveaway you create. All readers who opt-in to your mailing list via Prolific Works will be added to your selected Mail Chimp list. When you create a new giveaway campaign with Required Opt-ins, you can include a unique Newsletter name to correspond with the Mail Chimp mailing list you connect. For authors on Plus and Pro with existing Newsletter Names, you can add this information during giveaway campaign creation. You can also edit any existing giveaway campaigns with required opt-ins. If you don't change your newsletter name, the landing page will show your default newsletter name. Customize interactions with readers through segmented lists for select genres, pen names, etc. Please note: Connected Mail Chimp lists cannot contain custom required fields.